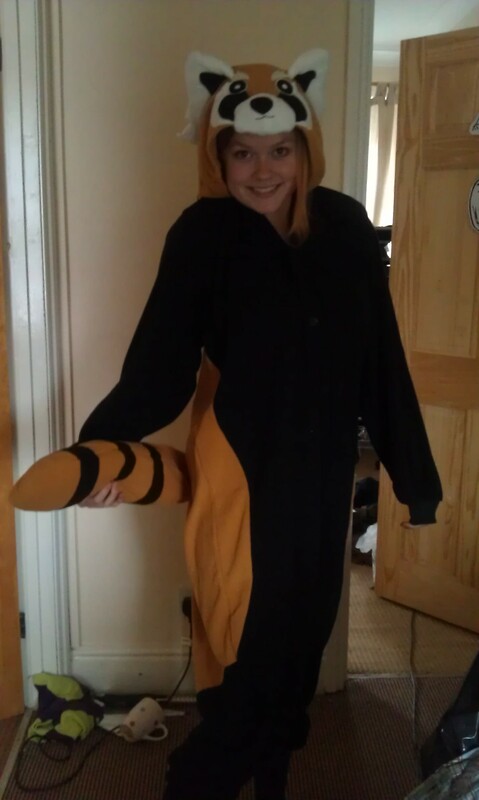 Today was a normal day in work, until I got a text telling me THIS arrived in the post, my amazing red panda onesie! Best day ever. Ordered it from here, and it arrived within two days so I was very happy! Red panda’s are my favourite animal, and kultapanda (the URL of this blog) is Red Panda in Finnish! Learn something new every day aye?